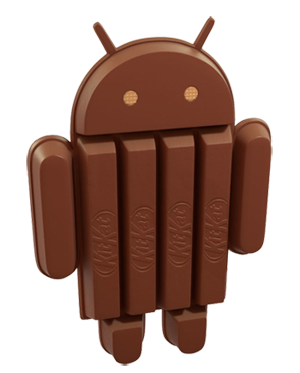 Android 4.4 KitKat will be the name for the next significant iteration of Android. The masses found this announcement a bit surprising; the popular belief was that the moniker for the next version of Android would be Key Lime Pie. So, what does this new name mean? In my opinion, and in no uncertain terms, Google has thrown down the gauntlet. By choosing to name the next version of Android after a widely recognized brand (and a delicious sweet treat to boot!) Google has shown that it’s willing to play the name game and to bring some heavy weights to the table. Bravo, Google.